Dr. Al Landucci practiced orthodontics for over 30 years and retired in November 2016. Al was born at Stanford University Hospital and attended Beresford Elementary, Borel and Hillsdale High Schools, in San Mateo. When Al was in college he was an orthodontic lab technician and orthodontic assistant in the present Orthodontics of San Mateo office location. He graduated from the University of California. He earned his doctorate in dentistry and specialty in orthodontics at the University of California, San Francisco, where he was distinguished by the faculty with Omicron Kappa Upsilon (Honorary National Scholastic Dental Society). At UCSF, Al was Student Body President and he was the first student President of the University Union. 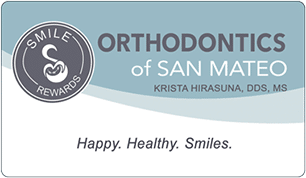 He taught at UCSF and has been a clinical instructor of orthodontics at the University of the Pacific. Dr. Landucci was a member of California Club, an advisory group to the President of the University of California. He has been on the board of many charitable organizations, including Chairman of the Board of the San Mateo Region, American National Red Cross. 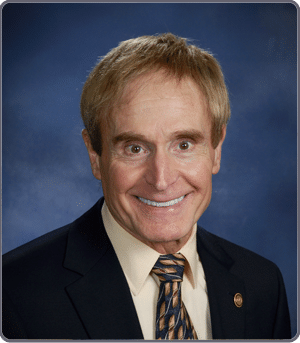 Al has also been on the boards of many dental and orthodontic associations, including San Mateo County Dental Society, offices in California State Society of Orthodontists, past President of California Society of Dentistry for Children and recent past president of the California Association of Orthodontists. Dr. Al was the first dentist to earn a Mastership in the American Society of Dentistry for Children for his extensive post doctorate continuing education and teaching. Landucci completed over 4,000 hours of post-specialty continuing education in dentistry for children, dentistry and orthodontics. Al volunteered four summers doing dentistry for kids in poverty areas of Mexico. Because of his dedication to dental health and education of children, the American Society of Dentistry for Children honored him with their Distinguished Service Award. Al was a Board Certified diplomate of the American Board of Orthodontics and was awarded membership in the Pierre Fauchard Academy and a fellowship in the International College of Dentists; the two International Honor Dental Organizations. His hobbies are family, home, computers and high technology especially in their application to orthodontics, hiking, swimming, cycling, libraries and education. Dr. Al is currently the City of San Mateo and San Mateo Area Chamber of Commerce “Citizen of the Year” and was awarded the Frances Bohannon Nelson Legacy Award.